Members of the UN Security Council are meeting today, at 2 pm (local time), for informal consultations on the draft of the resolution expected to be adopted on Thursday, for the renewal of UNFICYP mandate, until January 31, 2019. There is not an agreed draft by the 5 permanent members, until now, although there is an agreement on the new elements the resolution should contain. The most important elements involve the political developments, with the Security Council welcoming the appointment of UN Consultant Jane Holl Lute urging the sides and all involved parties to engage constructively with UN consultations. In addition, the Council urges the sides and all involved participants to seize the important opportunity presented by the appointment of UN Consultant Jane Holl Lute to conduct in-depth consultations on a way forward, by engaging constructively in those consultations and renewing their political will and commitment to a settlement under United Nations auspices. In this regard, the Security Council calls upon the sides and all involved parties, in particular the leaders of the two Cypriot communities, to engage with creative ideas, fully commit to a settlement process under UN auspices, use the UN consultations to restart negotiations, and avoid any actions that might damage the chances of success. 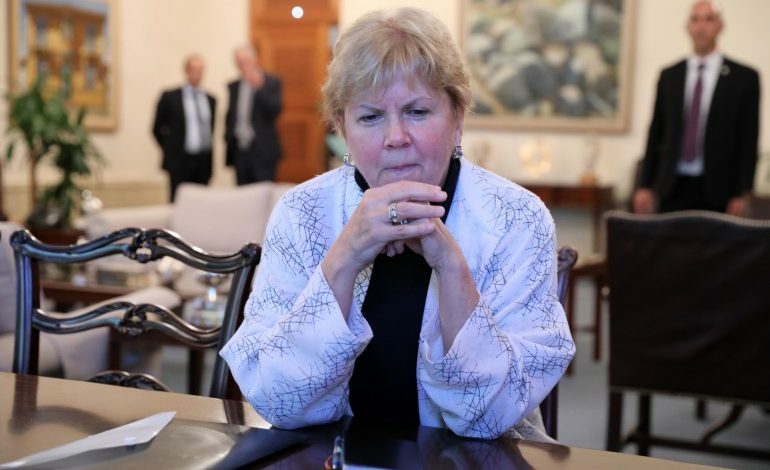 The new elements include a request to the Secretary-General to submit a report on the outcome of UN Consultant Jane Holl Lute’s consultations by mid-October. In regards to elements concerning the evaluation of all peacekeeping operations, recalling its resolution 2378 (2017) which requests the Secretary-General to ensure that data related to the effectiveness of peacekeeping operations, including performance data, is used to improve analytics and evaluation of mission operations, based on clear and well identified benchmarks, the Security Council I emphasizing the need to regularly review all peacekeeping operations including UNFICYP to ensure efficiency and effectiveness.